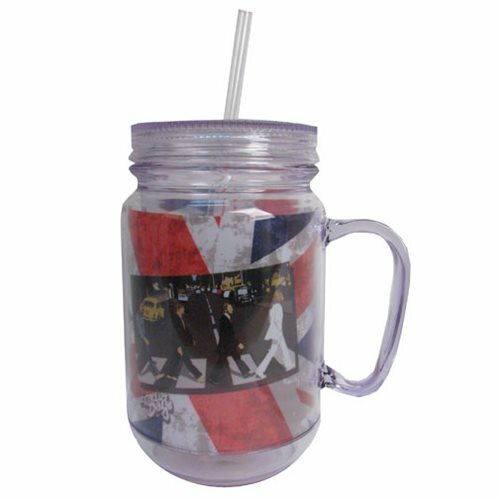 Keep your iced tea cool with this uniquely designed The Beatles Abbey Road Clear Mason-Style Plastic Jar with Lid and Handle! This fun mason jar features the famous album cover for the album Abbey Road, and can hold up to 16 ounces of liquid. More importantly, each jar comes with a screw-on lid and straw! Hand wash only. Not dishwasher safe. Do not microwave.